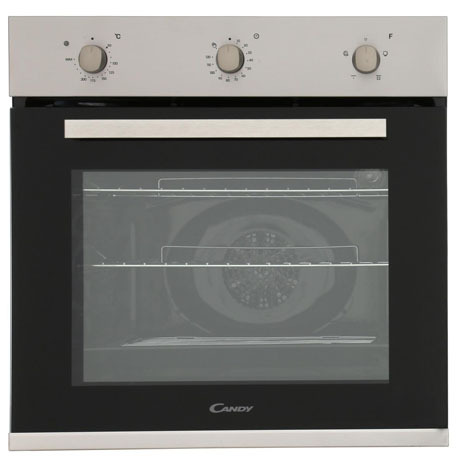 This attractive Candy Single Oven is fan assisted and has an A standard energy efficiency class and is finished in a stylish stainless steel finish. 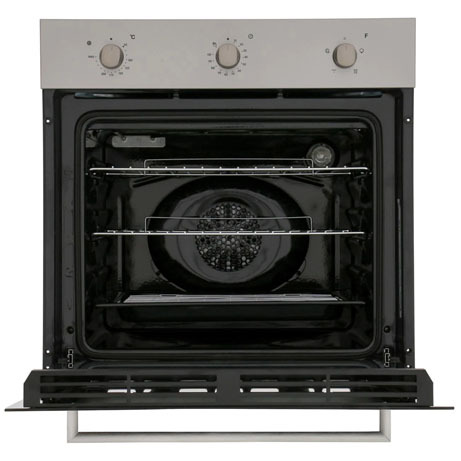 With a good sized capacity and multi function options this oven will fit seamlessly into most kitchens. This Candy single electric oven keeps things simple. It features a mark resistant stainless steel control panel that has just three clear and easy to use rotary dials. There’s no overwhelming buttons or displays, simply select your temperature and cooking method and away you cook. The central timer dial can be used as a simple minute minder or it can be set to automatically switch off the oven once your cooking time is up, preventing any over cooking. Providing 65L of cooking space there’s plenty of room to cook up a family meal, the oven includes two shelves and there’s three positions to choose from. There’s four cooking modes to select from, including fan cooking which enables you to cook multiple dishes simultaneously at the same temperature without any flavours or odours transferring between dishes, it also ensures every dish will be beautifully and evenly cooked no matter what shelf you place it on inside the oven. Switch to either grill or fan grilling for some intense heat to quickly cook up some bacon or sausages, you could always finish your main dish off with a golden crispy top too, such as a tasty shepherd’s pie. When it comes to cleaning up, it’s made easier as the oven has a smooth enamel coating, so wiping away spills and splatters won’t take too much elbow grease. 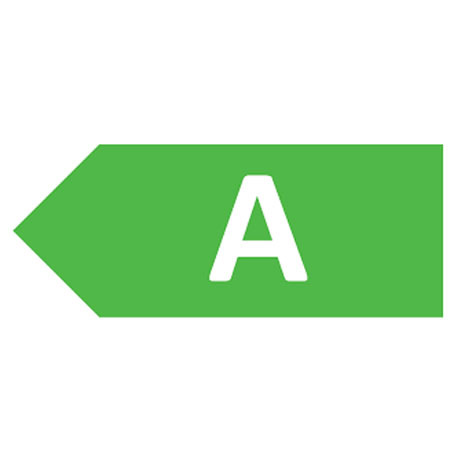 The ovens been rated A for energy efficiency so you can rest assured it will be kinder to your energy bills as well as the environment.